The Solo Bridge is contemporary and expressive. 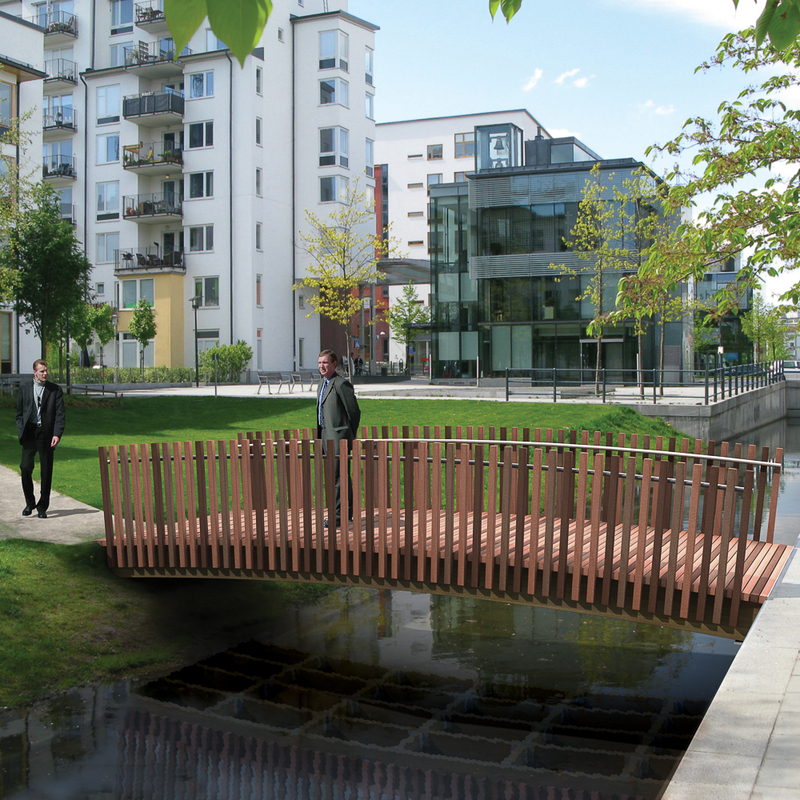 Solo Bridges are small pedestrian bridges that can be delivered both flat and slightly arched. 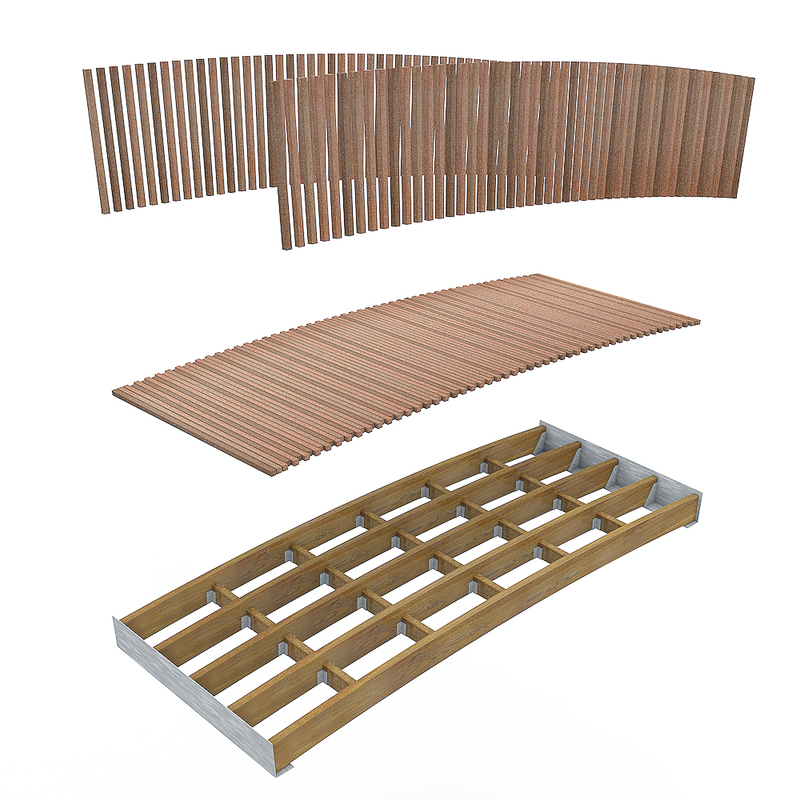 The whole load-bearing, decking structure is constructed from a single, thick-walled CorTen steel plate up to 300 cm wide - 10ft, and 800 cm - 26 ft long. The vertical posts are 70x70 mm -3”x3” and available in FSC® hardwood such as in the Solid range or in recycled black plastic All Black beams. The result is a bridge fence with a distinctly graphic character. The posts are mounted invisibly and remain adjustable after installation. 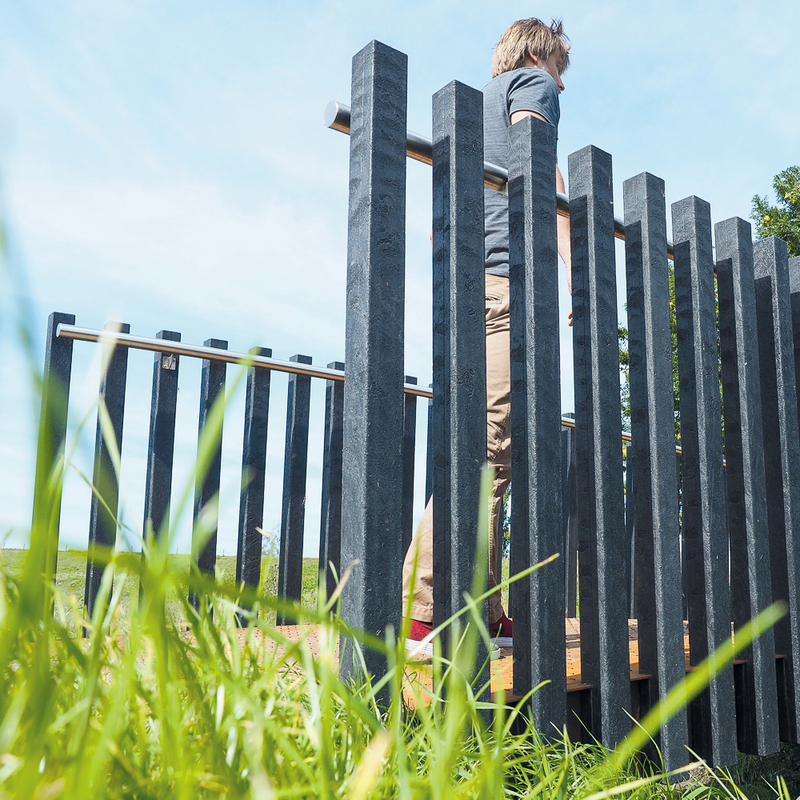 The Solo fence can optionally be equipped with a stainless steel handrail on the inside (Ø 48 mm - 2”). 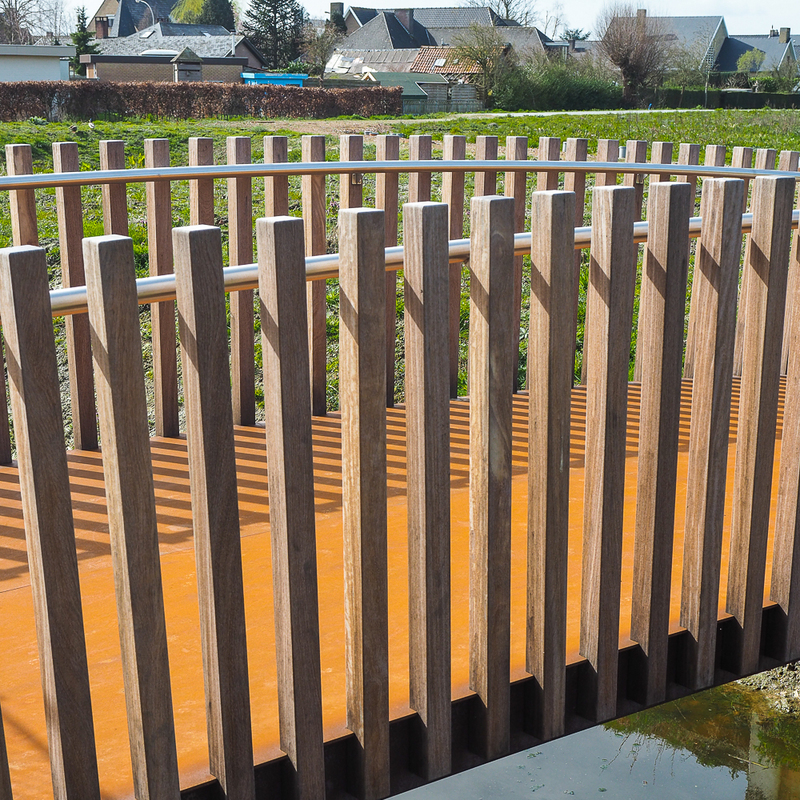 After several years, the horizontal CorTen plate will colour dark brown.